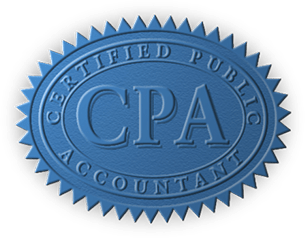 Karen A. Johnson, CPA is a senior financial professional with over 20 years experience in management, accounting, auditing, budgeting, financial reporting/analysis, and special project management. Areas of expertise include small business management advisory, non-profit reporting and consulting, corporate and individual taxation. Prior to opening her sole practice in 2008, she was a Manager at Gibson, LeClair & Martin LLC, Augusta, Maine, Partner at Achramowicz & Johnson CPAs , Waterville, Maine, and Senior Accountant at Macdonald, Page, Schatz & Fletcher LLC, Augusta, Maine. Her past positions include Controller, and Financial Assistant. She is a member of the American Institute of Certified Public Accountants, admitted to the Private Companies Practice Section and the Tax Practices Section, a member of the Maine Society of Certified Public Accountants, and a member of the National Society of Accountants. Past community service includes Treasurer of the Kennebec Valley Art Association, Finance Committee at United Way of Mid-Maine, Board of Directors for the American Cancer Society, Board of Directors for the Children’s Discovery Museum, and President of the Board of Directors at Wonder Awhile Nursery School.